AUGUSTA, Ga. — Richmond County is a rapidly growing area in Augusta. Recently the U.S. Army broke ground on its new cyber center at Fort Gordon and the area is now experiencing a steady stream of families moving there to take advantage of the jobs at the new Cyber command headquarters. This rapid growth has taken a toll on the current school system which is experiencing intense overcrowding. Late last year, the Richmond County Board of Education signed off on buying a 28.24 acres piece of property for $800,000 that will be home to a brand new school – the Dyess Parkway Elementary School, located right outside Fort Gordon. The expansion is ultimately expected to cost $23 million and will serve approximately 900 students, kindergarten through eighth grade. The new school is expected to help alleviate overcrowding at the county’s other elementary school and support the influx of new families from Fort Gordon. Lewis Contracting Services won the bid to carry out the grading and site development work for the elementary school and work commenced at the beginning of March. The project is expected to be completed by June 2017. Lewis Contracting Services will clear the site of existing trees, shrubs and vegetation ensuring positive drainage to be maintained on site to prevent ponding. They will provide complete erosion control, grading, underground utilities, sanitary and storm sewers and systems, and water systems. Lewis Contracting Services is a privately owned and operated service provider. 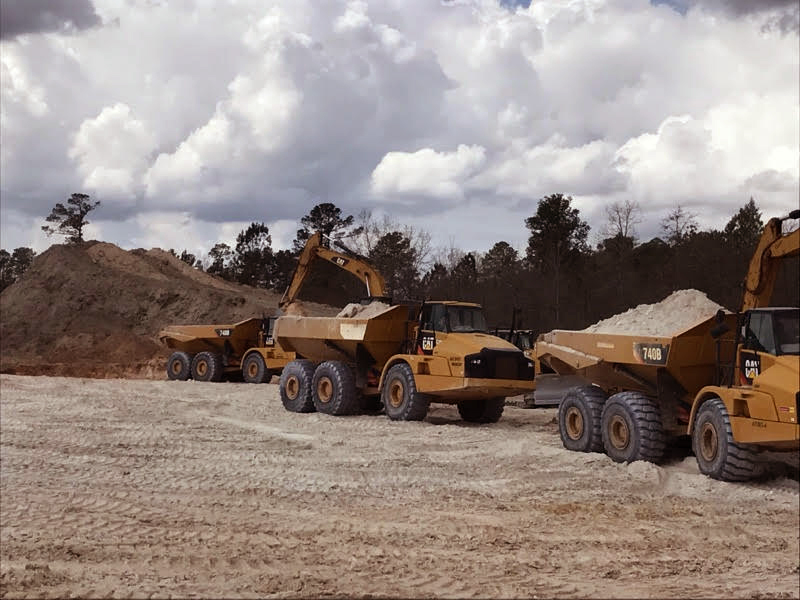 The company is increasing its capacity in the horizontal construction industry segment by winning contracts and extending their services to clients in government, state and local municipalities throughout the state of Georgia and throughout the southeast. On a mission to be the leader in the heavy civil segment of the construction industry, LCS focuses on delivering cost-effective construction services with uncompromising standards. LCS combines the perfect blend of experience and technology to enable them to deliver excellent services, safely on time and on budget. For more information visit www.lewiscontractingservices.com, or contact Charlie B. Lewis at (404) 522-1538 or cblewis@lewiscontractingservices.com. September 28, 2017 Lewis Contractors is proud to partner with The Cal Ripken, Sr..